To Western eyes, the Middle East is a place of political turmoil, religious tension, and warfare. To those on the ground, though, ordinary life has to continue, meaning that the area's creative life is forever flowering. DJ and production pairing Dar Disku have strong roots in the Middle East, and they're busying putting together a global diasporic community of beat makers and crate diggers. 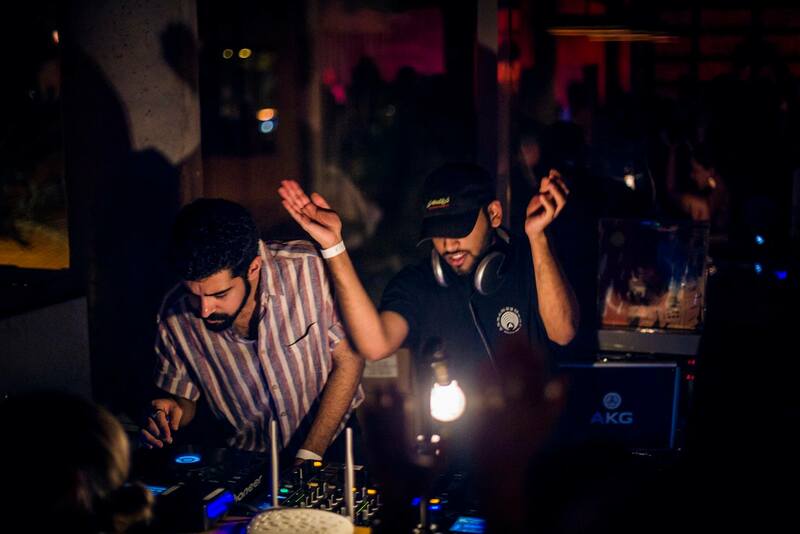 A duo who will stop at nothing in search of the perfect beat, Dar Disku are seeking out hidden paths into the forgotten discos of the Middle East. A new two-track release is intended to kick out the jams are your local Hafla - the Middle Eastern word for a party or rave - and it's a stellar one-two of disco abandon. The A-side features a bass heavy edit of Sarya Al Sawas' edit 'Bas Asma3 Mini', crafted by Dar Disku signing Moving Still. On the flip Dar Disku supply a new edit, with 'Ya Mahmud' utilising vocals from Indonesian group Orkes Kelana Ria - the record was first released in 1961, and forms a cornerstone of the Orkes Melayu genre. A real trip, both cuts are heady explorations of old and new, uniting hyper-localised scenes with a global network of aural fanatics.